Recently, we have presented you Glide, a great library recommended by Google to load easily images on Android. It offers you some interesting features out of the box like disk and memory caching for example. Today, we’re going to present you a direct concurrent of Glide : Universal Image Loader. Solution is great but presents a major disadvantage comparing to Glide, development has been stopped since the end of 2015 due to lack of time. But, like the project is open source, you are free to use it and to fork if you want. With all these features, Universal Image Loader is compatible from Android 2.0 until Android 6.0 Marshmallow. Note that by default, Universal Image Loader is going to use configuration returned by ImageLoaderConfiguration.defaultDisplayImageOptions() method. 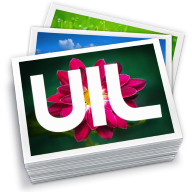 Offering a lot of configuration options, Universal Image Loader is a powerful and easy to use library to load images on Android. Besides, it has low memory consumption, no memory leaks and good balance between methods and size. It’s an ideal library for existing projects. However, the fact that the creator of the library stopped the development since the end of 2015 is a major concern to keep in mind when you will choose your library to load images on Android.